Debra Green OBE is the founder and National Director of charity Redeeming Our Communities (ROC), founded in 2004. She is frequently asked to speak at events and conferences and has recently joined the leadership team of Spring Harvest. Debra has 25 years experience in bringing organisations together towards the goal of social transformation, starting with her home city of Manchester. Since 2004, this work has expanded and she has acted as a consultant to many other towns and cities with significant results. Dave Roberts is a former editor of Christianity. He also had a senior publishing role at Kingsway Communications. His personal book sales are in excess of 250,000. These include joint authorship of contemporary bestsellers on prayer Red Moon Rising, The Grace Outpouring and The Way of Blessing. 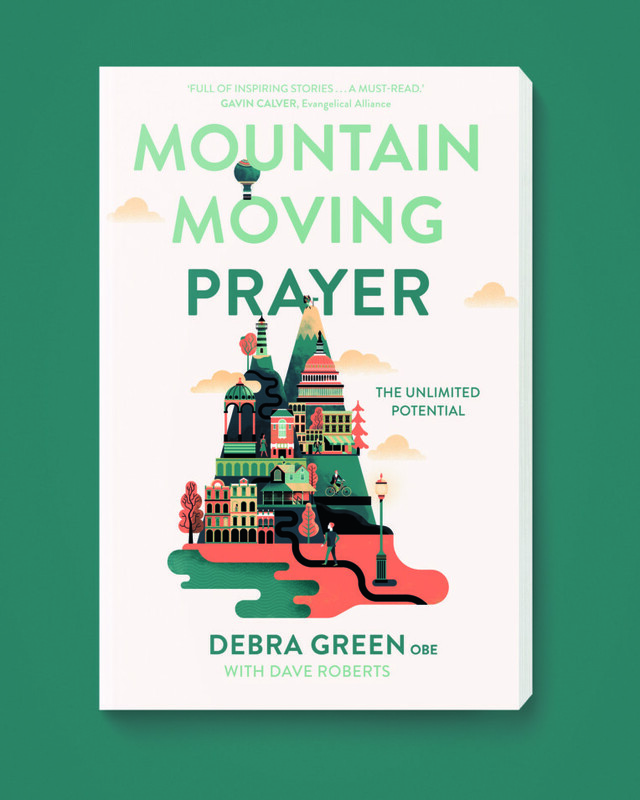 A encouragement to believers everywhere that their prayers have the power to break through seemingly impossible obstacles and conquer any mountain they face. The toughest challenges – in our personal lives and in our communities – can be tackled, defeated and shifted aside by faith-fuelled prayer. Relational struggles, financial strangleholds, emotional and social strife – whatever your mountain, through prayer, God’s power can move it.